Large Custom Full Brick Executive Style Ranch Built by Krumpelman. 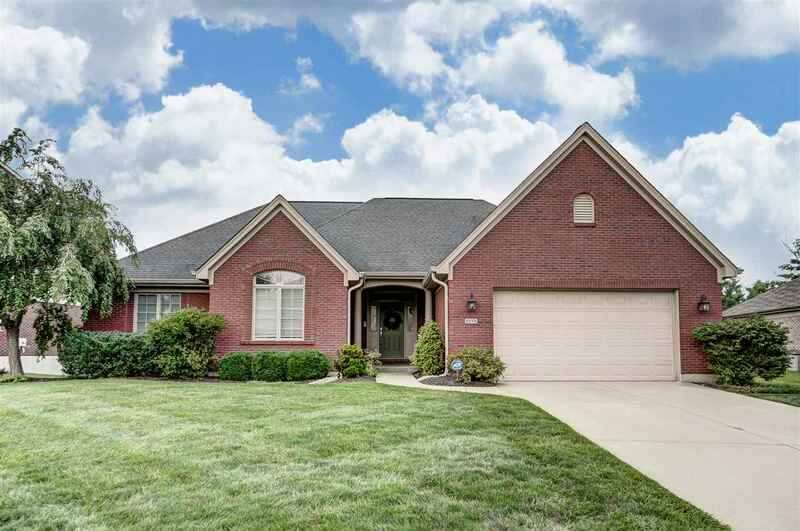 Offering Open Floor Plan with Gourmet Kitchen including Granite and Stainless Appliances, Hardwood Floors,Large Laundry Room, Huge Finished Lower Level with Fourth Bedroom, Full Bath, Wine & Media Room and Additional Room Currently used as Exercise Room. Beautifully Landscaped, 2 Patio areas with Pergola and Lake View.